Posting by Tim Pyne "Junuary 27 -2008"
Tim Pyne, Brisbane, Australia. Vehicle :- 9GO frm. 07/95 to 12/07 - 1967 BJ8 RALLY CAR. Dear Didier, these photos can be enlarged for detail, we also have super res. photos which can be enlarged to make a full size car picture. These photos can be enlarged for detail, we also have super res. photos which can be enlarged to make a full size car picture. Start of Speed on Tweed, N.S.W. Aus. Leading the way Sandown race circuit, Aus. 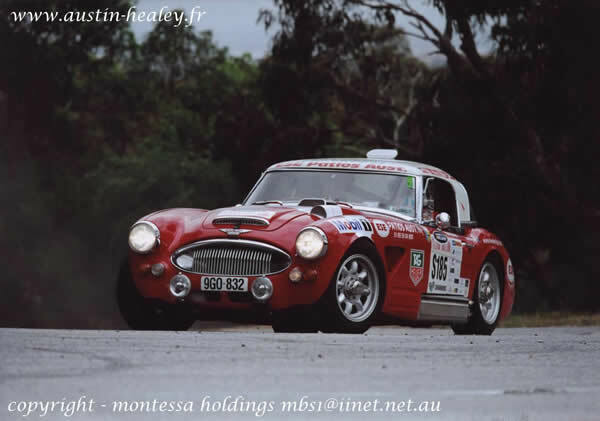 Flying action Tasmanian Targa, Aus. Crisis cornering Tasmainian Targa, Aus. 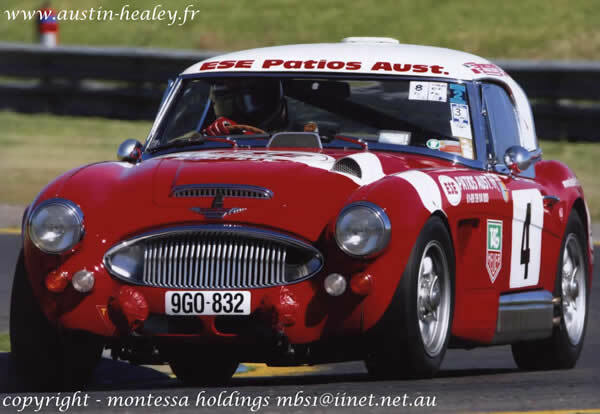 Magnifique, incroyable, extrodinary Healey, Tim do you speak French ? Tim, you are a young man !! MISHAPS HAPPEN ORAN PARK INT. Hi Miss, you have a perfect body ! !